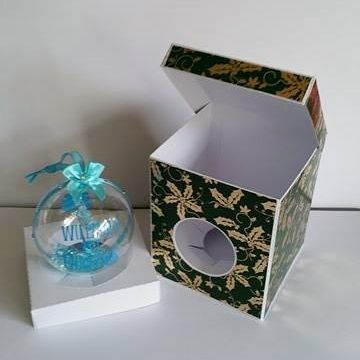 This version of the 100mm bauble box for round baubles has a hinged lid that lift up backwards, it's a little higher than the 100mm box with a lift off lid and will ensure your bauble will stand upright, if that is a concern to you. Comes with the 2 inserts that help to secure your bauble whilst in transit. Overall box measurements: 100mm square x 120mm high. I would like to thank Elisa for making up this box, providing the beautiful photographs and confirming that a 100mm bauble will fit in, with the bale of the bauble in an upright position. 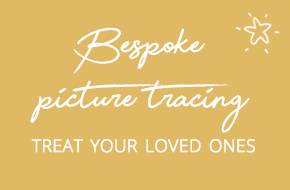 I ordered and paid by paypal for the svg file for bauble box at 10.45 this morning, I also sent and email saying I needed this design urgently. I have just checked the email to me with the download, and this was sent at 18.50. I am very disappointed with the overall lack of response from this supplier - hence i will not be using them ever again,I had to order from another supplier the same file, to which was sent immediate. Won't be using your slow service ever again! *Reply from Owner* Thank you for your review Angela, it is always good to get a review of any kind. I am sad to read how disappointed you are, unfortunately I was at my other job from 8am to 6pm today, I do try to send them as soon as I possibly can. I got home at 6.30pm, switched on my pc and realised I had a few orders, which I immediately sent. I really don't like people having to wait for their orders and when I did this full-time, orders were sent within an hour but circumstances changed, which meant I could no longer do this as my full-time job. All I can do is apologise. I wanted a bauble box and decided onthe hinged one. 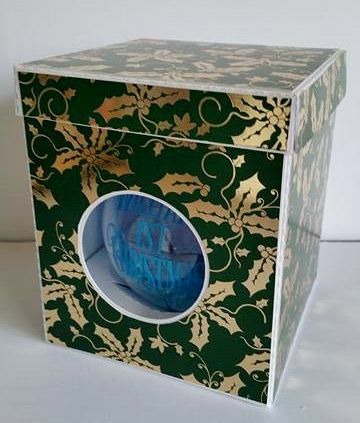 Its super easy to put together and although its named a bauble box could easily be used for something else. I used a 300gsm card to make mine but yiu could easily use a 250 as the design is well structured for support so once together wouldnt buckle. Most definitely would purchase from here again.